Two sticking points for electric cars remain: charging infrastructure and “range anxiety,” or fear of being stranded once the car runs out of juice. Both have prompted major investments in public charging stations across the country and electric vehicles with battery capacity to handle 300 miles of range. However, a new survey conducted on behalf of Mini showed that the majority of Americans were A-OK with just 75 miles of range. The survey, published Friday, included 1,004 adults—a rather small sample size, but the results were clear. Seventy-three percent of respondents said 75 miles would be enough for daily driving. We’d counter that many of the respondents likely would not be fine with so few miles. Consider the fact emergencies or surprise trips occur. Just 75 miles before needing to charge the battery is awfully low. Also, it’s highly unlikely respondents consider or know that range depletes quicker with more accessories running (wipers, heat, air conditioning) and varies based on weather. A second point to consider: should charging infrastructure one day move past infancy and become widespread, 75 miles of range is likely very doable. With the birth of fast charging, a battery with the capability of just 75 miles worth of range would finish charging very quickly, or somewhat similar to filling up a tank of gas. These are points the study failed to flesh out further. When asked what an acceptable amount of time is to charge an electric car, the majority (28 percent) of respondents said: “I don’t know.” The second most popular answer was 30 minutes, or 25 percent of respondents. One area the survey really drove a point home was the lack of education surrounding electric cars and charging them. 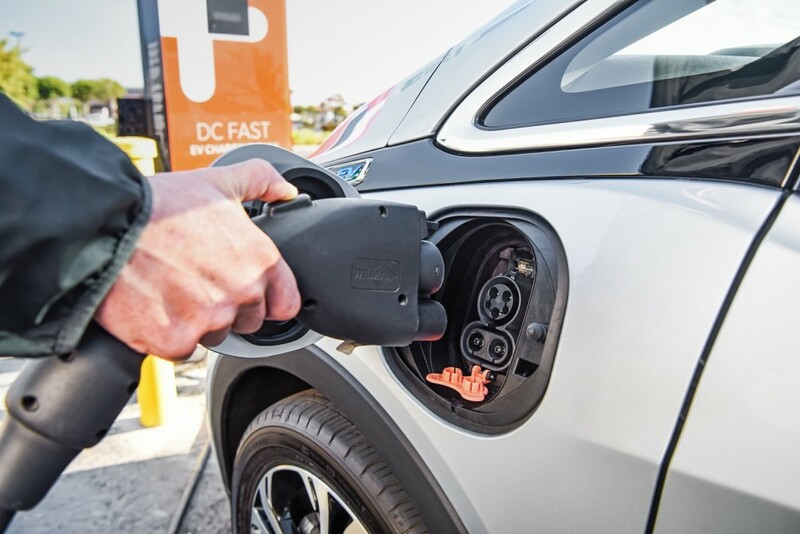 Of those surveyed, 66 percent said electric vehicles are for “early adopters.” Indeed, many dealers lack information to help inform buyers of an electric car purchase. More often, profit margins are slim on electric vehicles, too, which will cause salespeople to steer some shoppers away from an EV and to a more traditional car. Are 75 miles of range enough for you? Let us know in the comments below. 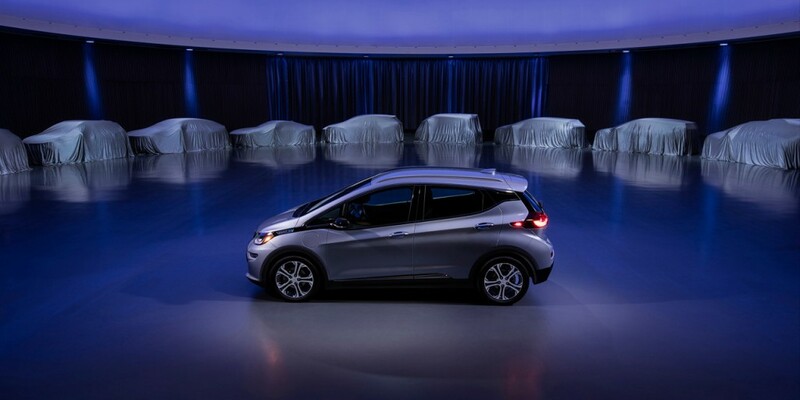 Subscribe to GM Authority for more electric car news and around-the-clock GM news coverage. For city drivers with a 2 car garage, and one of those cars are gas, then yes. Yet, it still make more financial sense to buy another small gas car that cost under 20K than a 40K electric as the 20K can be reinvested and save more money in the long run than the electric gas savings would pay back. In rural communities where its a 30mile drive just to the store you can forget about it. If this survey was done in Seattle, then this could be a likely survey result. Not for me. If I’m going to drop the money on one, its range should be more than a full tank in a pickup. My 15 Sierra 4WD Crew Cab with a 5.3 gets right around 495-515 miles per tank. Which I know would be better if I lived in a flat area. Maybe if you live in the city; but that’s about it. To even get to a semi-large city (Winston-Salem, NC; Roanoke, VA), it’s much more than 75 miles one way. Heck, even the nearest public charging station is over an hour and a half away. Until they all have a range of 400-500 miles, and recharge in 5-10 minutes, I could care less about electric cars. In my opinion, electric cars in their current state of development, they’re perfect for city and suburban drivers, but not much else. What ICE (Internal Combustion Engine) vehicles have a range of 400 to 500 miles? There are EVs with 250 to 300 miles of range, which is comparable to what most ICE vehicles can do. Your 75 mile one way, or 150 mile round trip could easily be made on one charge with plenty of range left. Any longer trips can be done easily with appropriate planning for charging points along the way. I have friends who have made trips from Los Angeles to the Grand Canyon and back, and cross country from California to Florida. The fast charging infrastructure is growing daily. Do a little more open minded research. You will be surprised. Paul: Perhaps you may be the one that needs “more open minded research”. Outside of the coasts, in “flyover country”, you may find that the infrastructure is nowhere near ready, as some of our friends with a Tesla found out recently when trying to plan a road trip. For the typical inner _ city and suburban _ dweller, this amount of range would be adequate. Luckily, most EV’S get over 200 – miles of range so it is a mute point. The word is moot, Not mute.if it were a mute point, we would not be reading it. Lee, you win the award today for ‘Pedantry’. My due apologize for greatly offending your delicate sensibilities. And if it were a ‘mute’ point, you would be reading it. No offense taken at all, and you are so correct regarding predictive texting as you call it. Jonathan: I too am a totally happy Volt owner and I agree with everything you said, it matches my experience exactly. We are about to start our 2nd cross country road trip with zero range anxiety. It is beyond comprehension that GM would kill Voltec, the one true technological triumph it has had in many decades, without any real attempt to market it and/or bring GM storied manufacturing prowess to bear to make it a profitable product line. While mouthing the supposed desire to become an electric car company, they kill the one industry leading electric car they had. 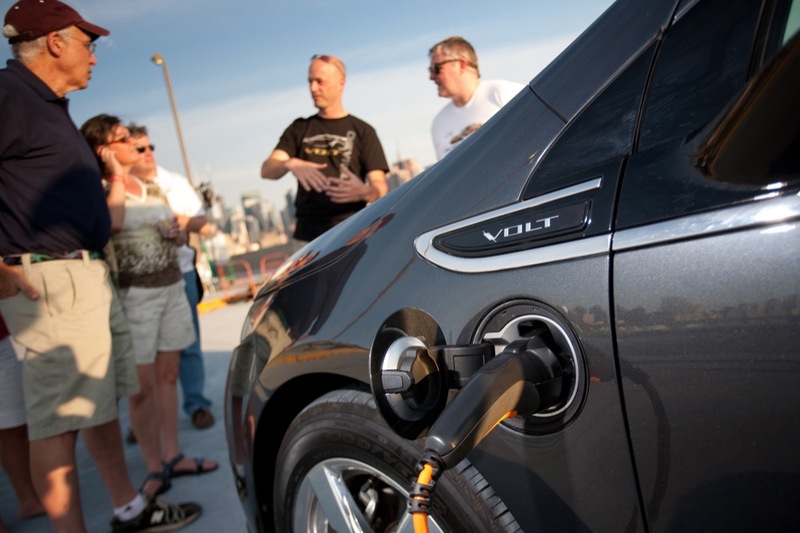 Until fast charging infrastructure and battery technology is in fact realized, Voltec is the best choice for anyone that really wants to enjoy the promise of electric car ownership. This survey just reinforces the fact of the abysmal ignorance most consumers have towards the current reality of electric car ownership, which in turn points to the absent and/or misleading marketing that BEV and PHEV cars were in general subjected to. It does boggle the mind, doesn’t it Suzy Q? I’ve got 92.5K miles on my 2014 of which 68.7k miles were in Charge Sustaining mode (running on the gas generator for those not familiar with that term). The average mileage over all those miles is 41.0 mpg, with many, many miles driven at 65 mph on Cruise Control. I’m retired and don’t need to hurry on my road trips and so have arbitrarily limited my speed. I did take it up to the software limited 101 mph in Nevada just to see how the car handled. I was impressed with how quiet the car was and how seemingly eager to go faster, but for that software limit. Johnathan, your comment prompted me to make a search for a used Volt on my area and not one is available. I’m still looking for a really nice low mileage original a Honda Insight. Insights seemed to be clustered in the Bay area and few have less than 250,000 miles on them. I have a Bolt and a Leaf. The Leaf at 150 miles range if pitiful. My wife only uses it for short round trips,to the grocery store and to appointments. Other than range it is pretty nice though. The Bolt range is pretty good, but not enough. There is no way I am going to own a gas engine to go on longer trips, so I don’t take longer trips. If there is absolutely no way around them I will rent a car. Thankfully I haven’t had to yet as that defeats the whole purpose of EVs. Except for my daughter who lives 3000 miles away, my extended family is only 30 miles away, so that certainly helps. The Bolt’s range is so perfect for my family, we own 2! The only gas we burn is in the sports car. We find that any round trip longer than 500-600 miles, we fly. Electric is the only way to go, no oil, no gas, no exhaust, no muffler, and little to no maintenance. Michael: It’s great that the Bolt range works for you. Though I note you do have an ICE backup “sports car”; do you use it for trips of 200+ to 500- miles before you switch to ICE airplanes? You are making my point quite nicely, Given the reality of today’s BEV infrastructure, many people will need some sort of ICE backup to continue their expected lifestyle. Since I too love the advantages of electric cars, I just hope that the disappointment that many people may experience when they actually buy one and discover the range anxiety problem will not “poison the well” for the day in the future when BEV cars and infrastructure do become practical. And than there is a friend of mine who annually drives his Tesla from his near Seattle home to His winter home in SW Florida, then to New England in the Spring and back to the Seattle area for summer for the past three years. Few people these days would make a 500+ -mile trip. They fly even short distances if the option is available. The young and the less financially advantaged, do drive if they have to, but few today make longer distance quick trips as the road time deducts from their quality spent time with today’s shorter vacations. Some of course, as I do, love road trips, especially back road trips, and there in still lies a problem with the lack of back country charging facilities. But, a 250-300 mile range under average conditions would not present an obstacle for that type of trip if charging considerations were planned. Although GM is apparently abandoning it, the Voltec system used in the Chevy Volt and Cadillac ELR has been ideal for me. The ELR only offers about 37-39 miles of battery range – which would be horribly unacceptable by itself – but well over 250 miles per 9.3 gallon tank on the range-extender gasoline generator. On a “Road Trip”, my wife and I travel non-Interstate roads whenever possible, typically covering about 400 miles per day. The chances of finding a charging station somewhere in the boondocks, coupled with excruciatingly long charge times, would completely eliminate the fun and freedom of road travel for us. With Voltec, if desired, the battery charge can also be stored for later use, allowing the electric motors to be powered solely from the range extender, leaving the battery as a reserve fuel supply in particularly remote areas. I have never needed to charge the main battery with anything other than 120 volts at my house. That process can take up to 12 hours on the lowest charge rate. The short battery-only range is satisfactory for most in-town travel, but I wouldn’t own an electric-only vehicle – regardless of the range – if I had to search for a charging station in unknown territory and spend more than 15 minutes or so to bring it up to full charge. I had a Fiat 500e on a three year lease, approximate range 88 miles. It worked well for an around town and short trip vehicle. It proved to be fine for a second vehicle. I replaced it with a Chevy Bolt EV, which is much more than an around town vehicle, and having the additional range is great. My other vehicle is a Subaru Crosstrek Hybrid, which I am trying to convince my wife to replace with another EV. It would be nice to be able to long range trips, with appropriate charging infrastructure, but we wouldn’t do that often, if at all. All that said, short range EVs do have a place for daily use and short commutes. It would do much to expand the acceptance of electric vehicles. What does that tell you about the average mini owner, I wouldn’t choose one for a road trip!